Like a finely-tuned machine that automatically kicks into gear when the NFL playoffs roll around, the leagues coaching carousel is in full swing with six head coaching positions up for grabs right now. Black coaches are still having a difficult time breaking in as head coaches and getting second opportunities once fired. The percentages have been stagnant for some time now, and the lack of diversity in the pipeline leading to leadership positions on the field and in the front office has been an alarming topic of discussion for years. This season, however, there seems to be a slew of African-American candidates to fill the vacant positions. Whether or not they will be given a legitimate shot to win the job is another story. Teryl Austin has interviewed for eight head coaching jobs over the last two years and he’s still on the grind. But the Detroit Lions’ defensive coordinator told local reporters that he isn’t discouraged by a process that has rewarded a number of less-accomplished assistants. The figuring-it-out process has been slow but steady. With the help of platforms such as The Shadow League that stalk issues of coaching diversity and follow the charge led by the Fritz Pollard Alliance — who have arduously worked with NFL owners and execs to identify qualified minority candidates, make sure teams respect the Rooney Rule and create a pipeline to head coaching gigs — opportunities for growth are increasingly there for African-American head coaching candidates. As Fritz Pollard Alliance Chairman John Wooten once told me, Before they (African-American head coaches/GMs) can get hired, they have to get in the room for an interview. Progress is made when we get in the room and represent ourselves and what we can offer, because anything can happen at that point. Here is a list of the top African-American coaching candidates (already in the pros) among many getting interviews during this latest coaching carousel. Those guys who are knocking on the door, have already interviewed in the past and are poised for a breakthrough. Austin landed four more interviews, with the New York Giants, Cleveland Browns, Tennessee Titans and Miami Dolphins in 2016. He believes that he came close to landing two of the jobs. Every year, the NFLs Career Development Advisory Panel compiles a list of recommended candidates for the coaching and G.M. vacancies. Austin is one of several potential first-time African-American head coaches on this years list. Vance Joseph, Miami Dolphins Defensive Coordinator: Joseph is more of a Tomlin, fire-the-team-up-type. Hes a former Wade Phillips protege and Colorado teammate of Broncos director of player personnel Matt Russell. Joseph was one of Denvers top coaching candidates in 2014 when they parted with John Fox. Reports say he is the favorite for the Chargers job. Hes also getting love from the 49ers and Denver. The Dolphins have a wild-card game on Sunday, so the Broncos will interview Joseph next week. Joseph interviewed for Denvers head-coaching job in 2015 and was its leading candidate to be defensive coordinator. Last year, Joseph, 44, joined Adam Gases staff in Miami as defensive coordinator. The Dolphins ranked 18th in points allowed this year (23.8 per game). Word on the NFL streets is that Lynn is the hottest brother walking with a clipboard right now. Why ? Well, scoring points is first priority in the NFL and Lynns offensive ingenuity has been ahead of the game for a minute now. Lynn,who has previously interviewed for gigs in Miami, Jacksonville and San Francisco, will likely land one of these new six job openings. He has interviews scheduled with the Jags, the Niners, Denver, San Diego and the Bills, which he has gone on record as saying is his top choice. In the words of Biz Markie in the hip-hop classic, Vapors, Damn it feels good to see people up on it. Cause I remember when, at first they wasnt. 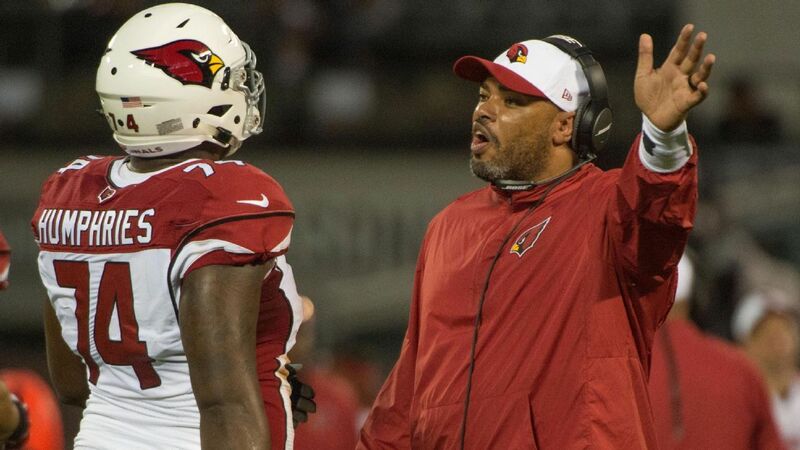 Harold Goodwin, Offensive Coordinator, Arizona Cardinals: He is a disciple of Bruce Arians who has put in every good word you can for a brother with any team interested. Entering this season, many NFL insiders believed Goodwin would be one of the new faces leading an NFL team in 2017. Goodwin is very laid back, but has a work-driven intensity. Hes of the Jim Caldwell, Tony Dungy mold. He was a former offensive line coach, which is probably the Rams’ deepest concern. The Jaguars and Bills are also interested. There are other African-American candidates emerging, whose stock will rise over the next few seasons including Edgar Bennett, the offensive coordinator of the Green Bay Packers, and former Vikings coach Leslie Frazier, who is now the Baltimore Ravens defensive backs coach and is looking for a second shot at a head coaching gig. For the first time, Vikings defensive coordinator George Edwards is on a short list put out by the Fritz Pollard Alliance of recommended NFL head-coaching candidates. Wooten said Thursday that Edwards has received strong recommendations from Vikings general manager Rick Spielman and coach Mike Zimmer. The numbers dont reflect it yet, but gone are the excuses that there are no qualified minority candidates coming down the pipeline. 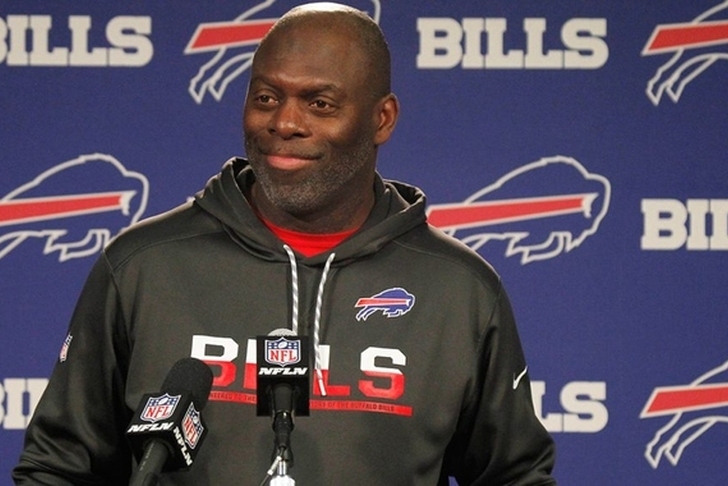 The NFL is oozing with black talent at the coordinator positions. Theres no next step but up for many of these guys. They cant all get hired as theres only 30 jobs. But the pipeline is fortifying and theres a cast of young, qualified black coaching gems that need a slight crack in the door to even out the numbers and the score of what has been a very lopsided game.